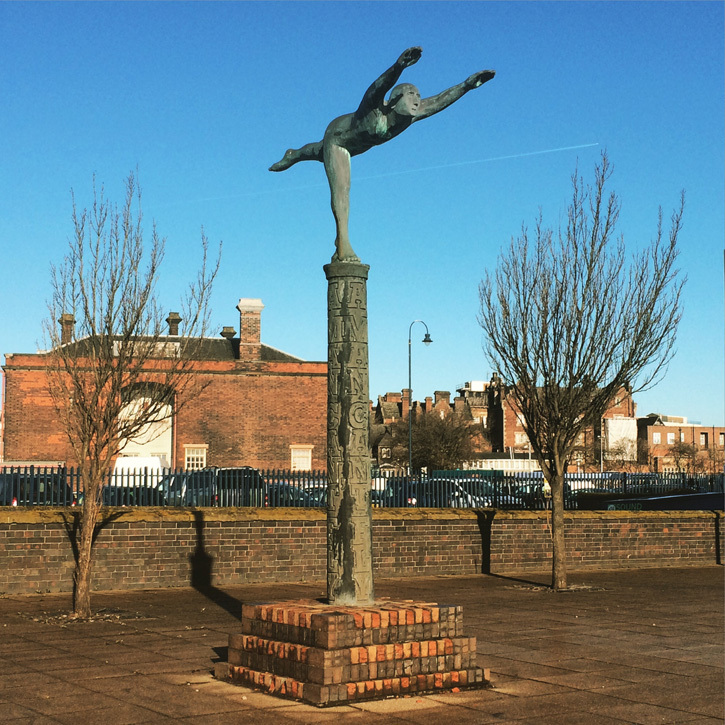 Just choosing five favourite public sculptures in Stoke-on-Trent barely scratches the surface of the extensive number of public art and monuments spread across the City. Walk or drive around any of the six towns and you’ll encounter both traditional and contemporary sculptures. New works seem to appear regularly. The latest addition to the city is Golden, a 21-foot-high, steel artwork covered in 1,500 glass balls and internally lit by LED lights. Taller than the Angel of the North it will be seen for miles around. It was installed in May 2015, but its official opening and switching-on ceremony will take place this summer. I’ll wait to see it all lit up before I decide whether it makes it into my top five. This is very much a personal top five. 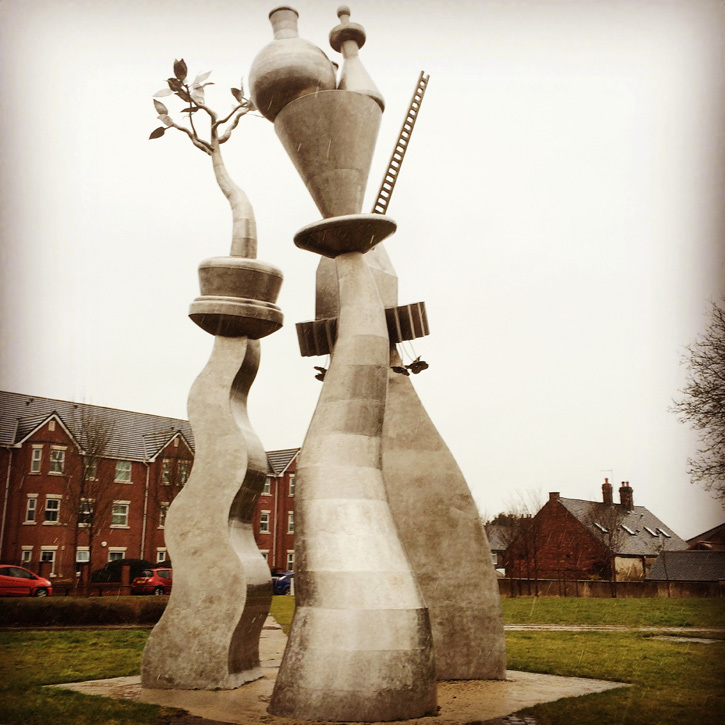 If there are other public sculptures in Stoke-on-Trent that you particularly like, feel free to let us know what they are and why you like them. 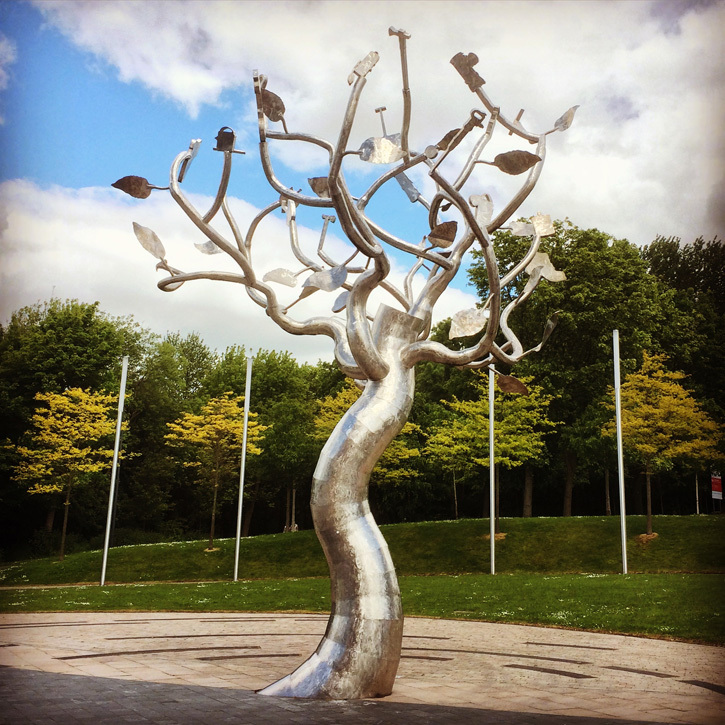 This nine-metre-high, stainless steel sculpture represents the pottery and steel industries, which used to flourish in Etruria before their demise, and the National Garden Festival, which was held in the area in 1986. Sited by the busy A53, the work is seen by an estimated 30,000 motorists each day. I see it on a regular basis from the car, but have only walked up to it once, to take this photograph on one of the wettest days I’ve ever experienced. Even in a hailstorm it looked very impressive. Award-winning sculptor Denis O’Connor has another large public art work in the City, Tree Stories, which was created with community involvement to celebrate the local mining industry. Sited in Hanley, this work has also been placed next to a busy road and is seen by thousands of people every day. 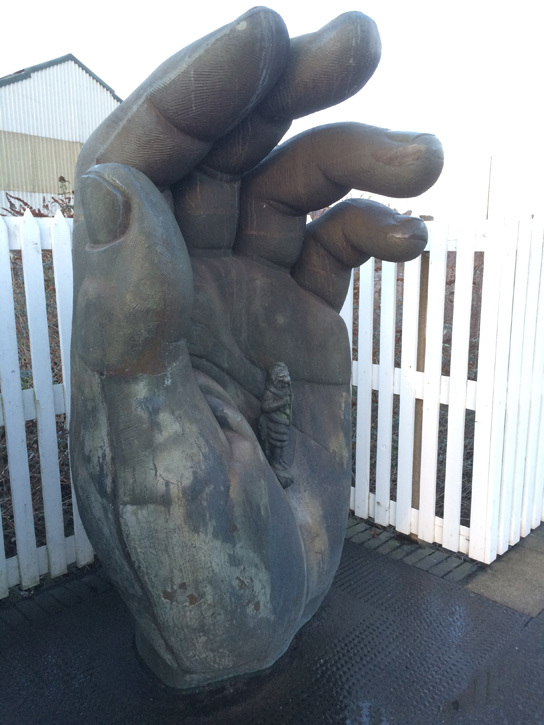 I have written about this sculpture before, as its current location does not do it justice, being sited at the far end of platform two at Stoke Railway Station where few people venture. If you make the effort to look at it close up, rather than from a moving train, you can see the fingerprints and lines on the hand, as well as Chronos in its palm. 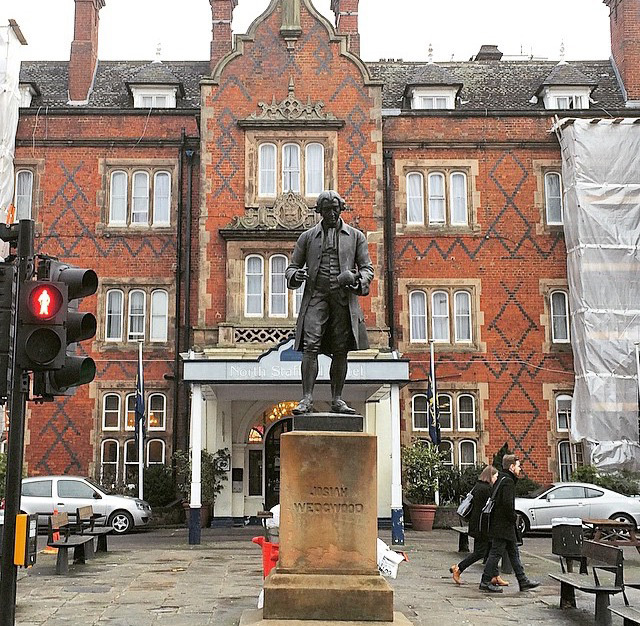 Probably the best known of the Staffordshire potters (from being good at marketing, as well as his ceramic-making skills), Josiah Wedgwood greets visitors as they leave Stoke-on-Trent Railway Station. He is seen holding his ceramic copy of the Portland Vase, the Roman glass vase in the British Museum. 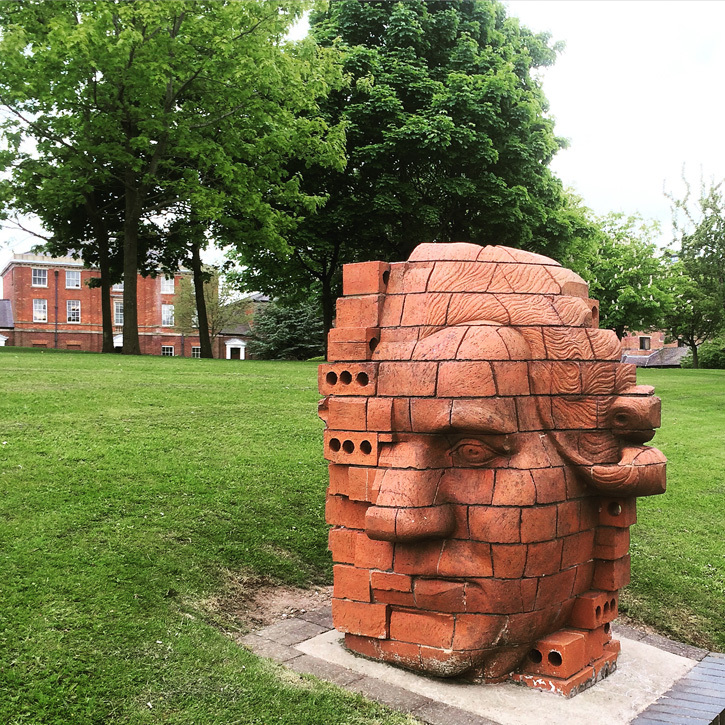 Another, more contemporary sculpture of Josiah Wedgwood (above), by Vincent Woropay, was created in 1986 for the National Garden Festival. This brick head was in storage for many years before being repositioned in 2009. 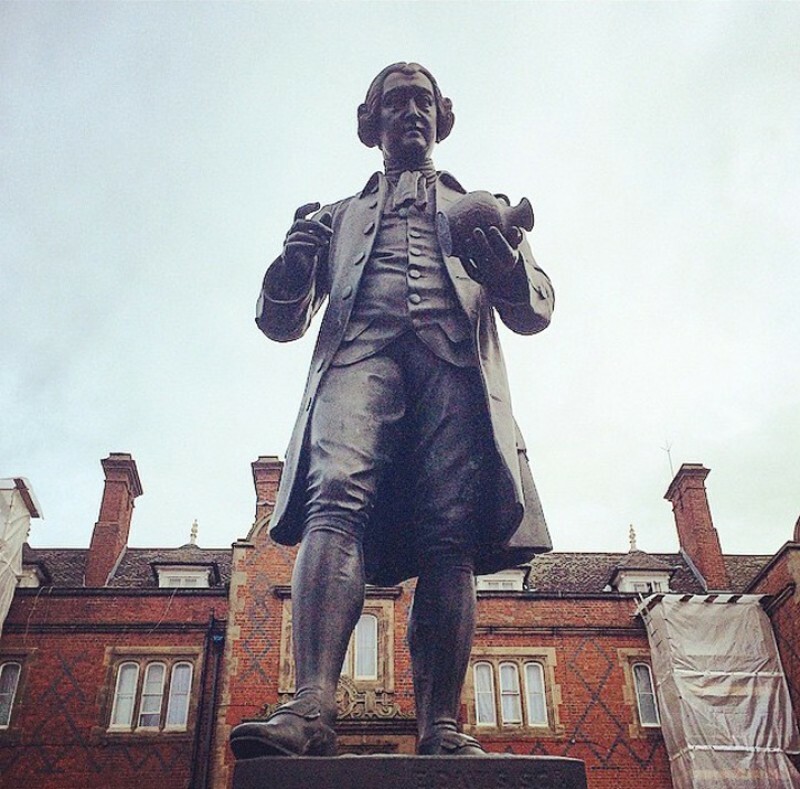 It is now sited by Etruria Hall, previously the home of Josiah Wedgwood and close to the location of his 1769 pottery factory. Etruria Hall, which can be seen in the background, is now part of a hotel. 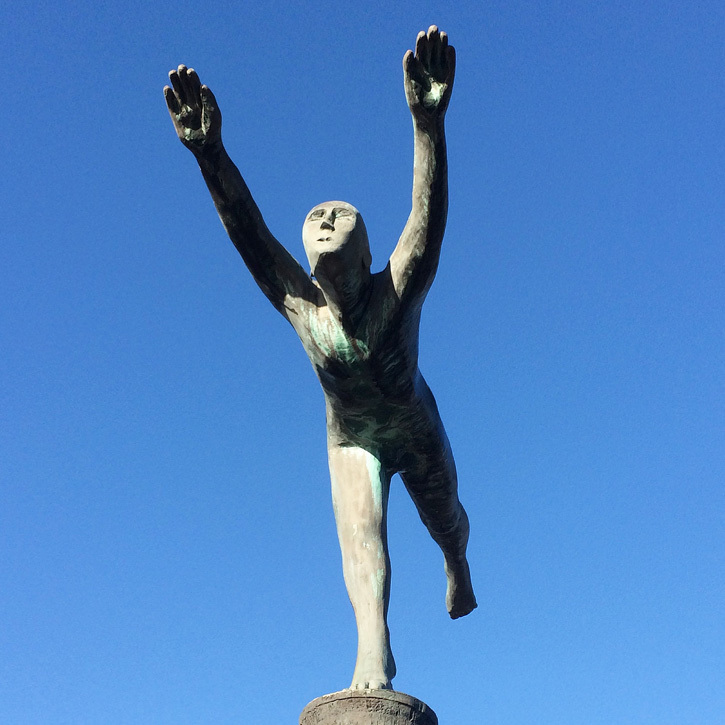 Sited next to a busy road junction in the City’s University Quarter and close to the railway line, this figure standing on one leg and trying to fly is apparently there to remind us that that ‘we are in too much of a rush to do too much for most of the time’. I pass it on the way to the station, usually whilst worrying if I’ll find a space in the car park, so it’s a message I probably should take on board. 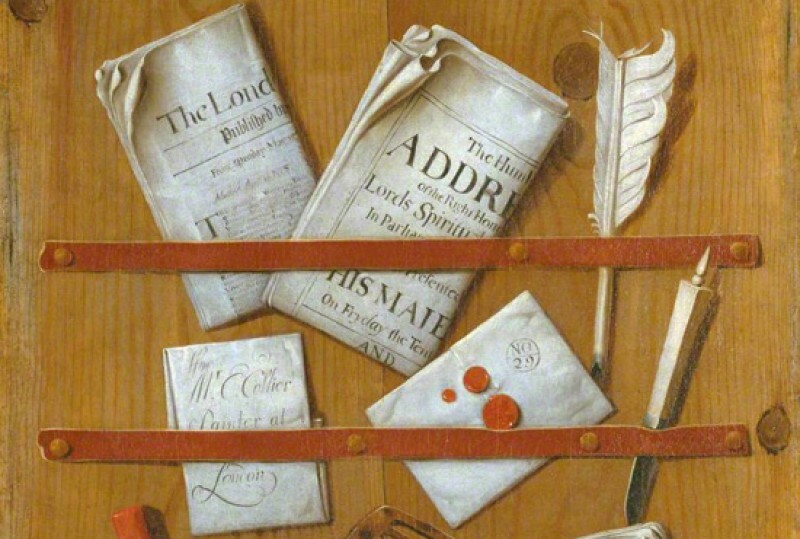 Ondre Nowakowski works as a full-time freelance artist, has exhibited widely and has works held in public collections, including numerous large scale public art works in the UK. Most of the buildings around Gilman Place are boarded up in advance of development of the area, so this beautiful sculpture’s surroundings do not currently do it justice. This might have been a busier thoroughfare when the work was placed here in 1988, but I do wonder how many people see it. It’s not easily seen by car either, as its back faces the busy city centre ring road. 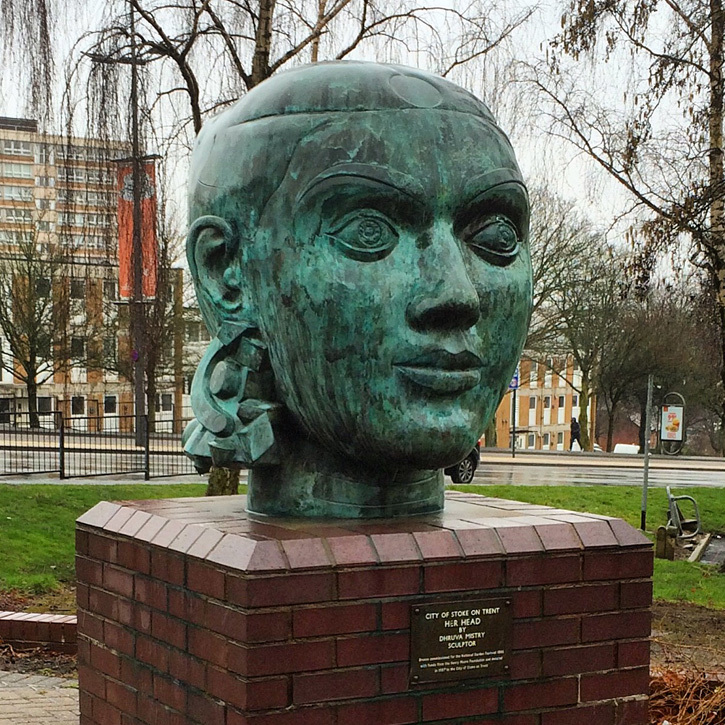 Commissioned for the National Garden Festival in 1986 with funds from the Henry Moore Foundation, Her Head was donated to the City of Stoke-on-Trent in 1987. Dhruva Mistry was born in 1957 in Gujarat, India, and has art works held in major public collections in the UK, India and Japan. 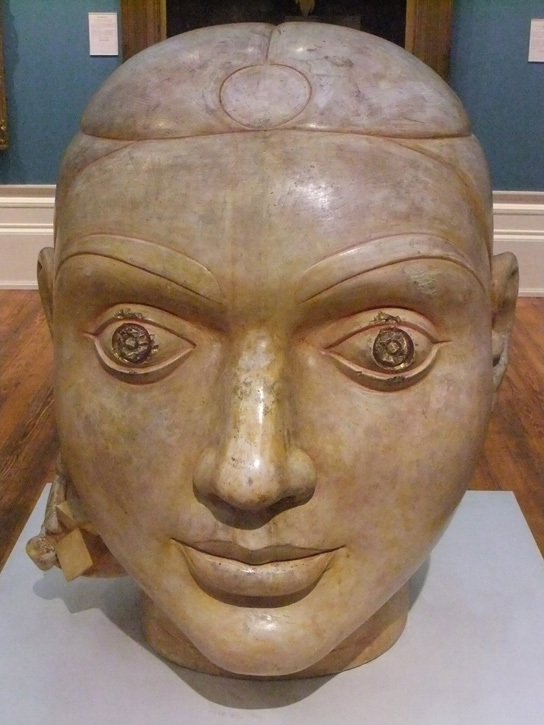 The Harris Museum & Art Gallery, Preston, owns another version of Her Head (above), this one in plaster and shellac. You can also see an oil painting by Mistry on Art UK. The Public Monuments and Sculpture Association has produced a book on Staffordshire and the Black Country in their Public Sculpture of Britain series, published by Liverpool University Press.